UKRO is heartbroken by the passing of our friend, spokesperson, and member of our Board of Directors, Natalie Cole. Her class, talent, perseverance, and commitment to the cause of eradicating kidney disease through the creation of the USC/UKRO Kidney Research Center will inspire us always. She was exceedingly grateful for her life-giving kidney donation, and she used the years it gave her to promote research to understand and prevent kidney disease so that others would not suffer. She was and shall remain unforgettable. 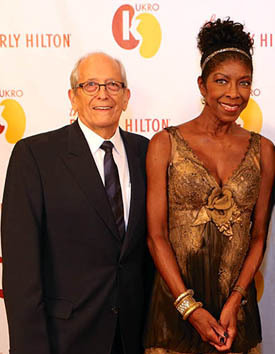 Read more about Natalie Cole’s story.